Black-tailed godwits are large wading birds. In the summer, they have bright orangey-brown chests and bellies, but in winter they’re more greyish-brown. Their most distinctive features are their long beaks and legs, and the black and white stripes on their wings. The UK is home to a small breeding population of black-tailed godwits of around 60 pairs. Because of their vulnerable population, these large wading birds are red-listed in the UK and possess Near Threatened status globally, meaning they are likely to be threatened with extinction in the near future. Project Godwit, a partnership between the RSPB and WWT, is aiming to turn around their fortunes. Historically, numbers of breeding black-tailed godwits in the UK declined drastically at the beginning of the 19th century, to the point where they became extinct as regular breeding birds. This was probably as a result of the draining of natural wetlands that took place and hunting. 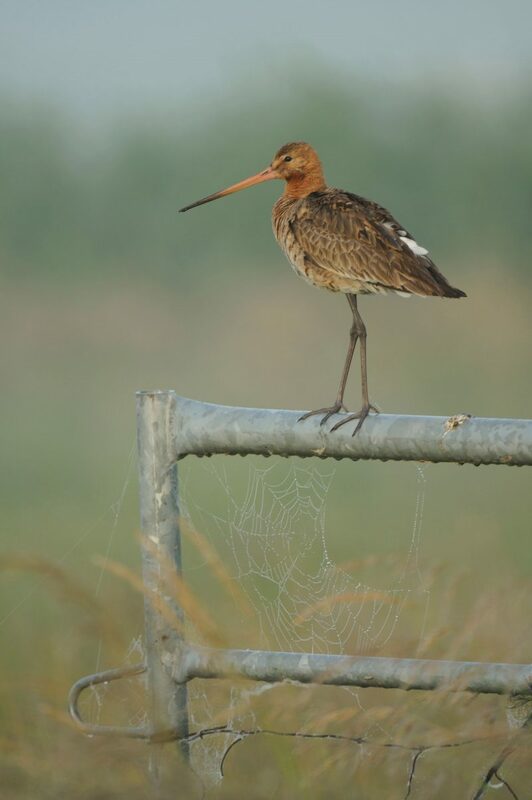 After an absence of more than a century, however, black-tailed godwits of the limosa subspecies returned to breed in England in the 1930s and started breeding regularly on the Ouse Washes in 1952. After reaching a peak of 65 breeding pairs on the Ouse in the early 1970s and with the species just starting to colonise the Nene Washes, a series of spring floods saw numbers halve by the late 1980s. Now the majority of this population is found at the Nene Washes, where 42 pairs were recorded in 2016. A small number of the islandica subspecies of black-tailed godwits also breed regularly in Orkney and Shetland. In the autumn and winter, large numbers of black-tailed godwits make use of coastal and inland wetland sites in the UK. Most of these birds breed in Iceland but some make the journey across from continental Europe before heading south to Portugal and West Africa.